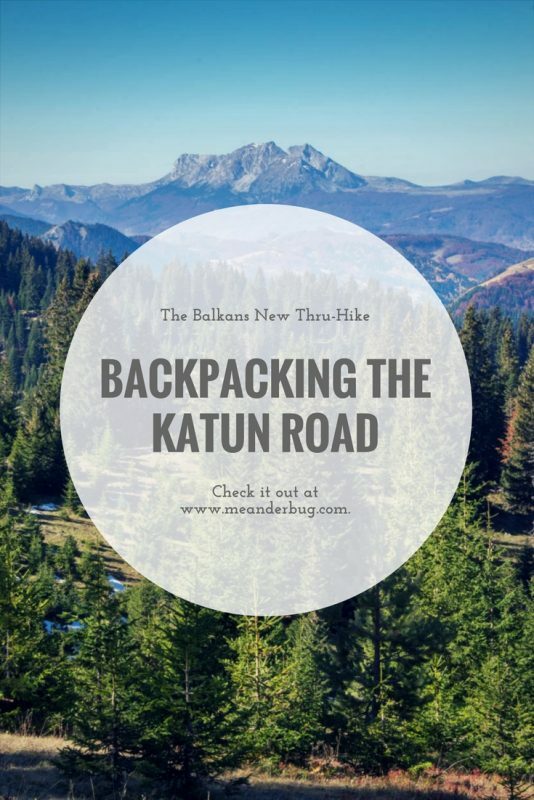 Whenever I discovered The Katun Road I knew it was a hike I had to attempt. Never before done, I was excited to partner with Meanderbug to develop it. 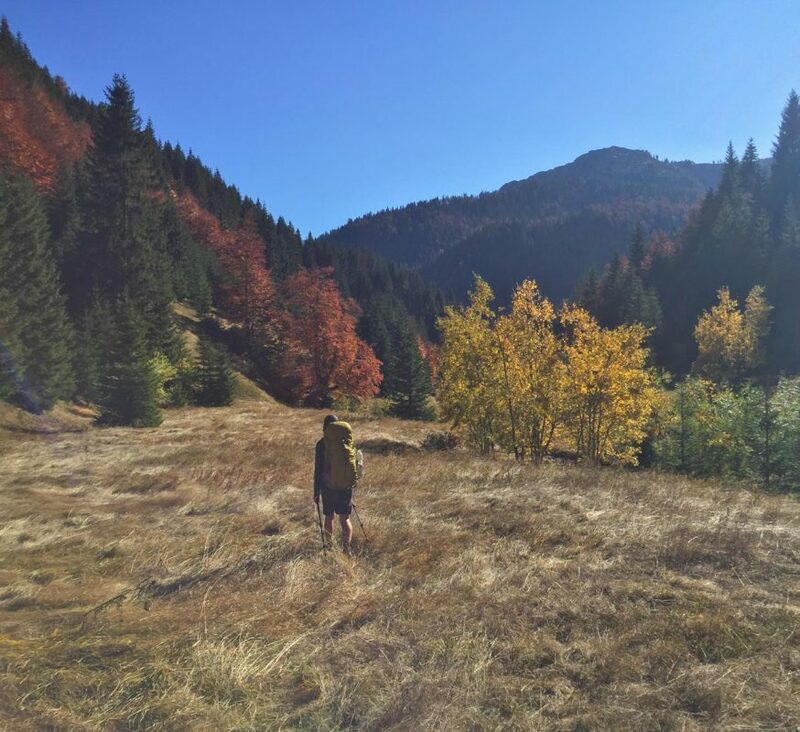 So a few days after arriving in Montenegro I headed out with Brit Boone, founder of Meanderbug, to attempt the hike. 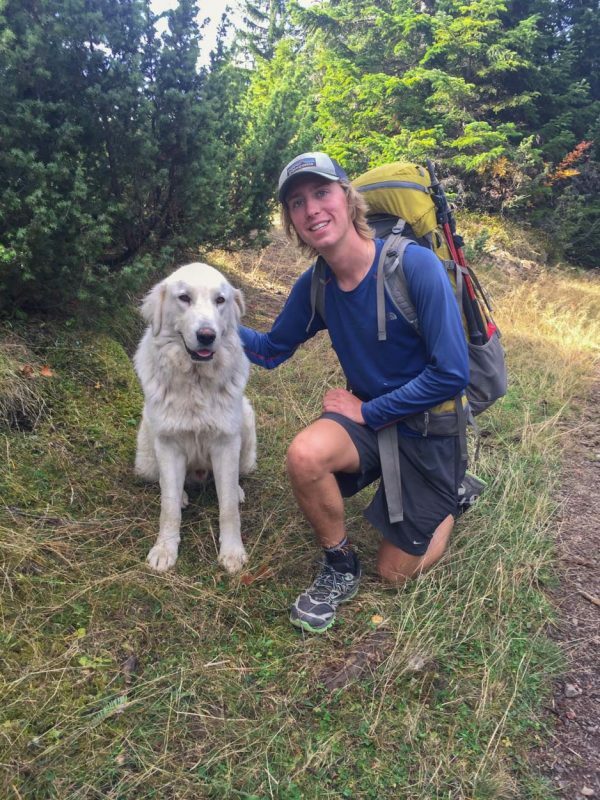 This past summer I finished a thru-hike of the Pacific Crest Trail (PCT). The PCT is a 2,650-mile long trail that runs from Mexico to Canada along the west coast of the United States. It took me 5 months. 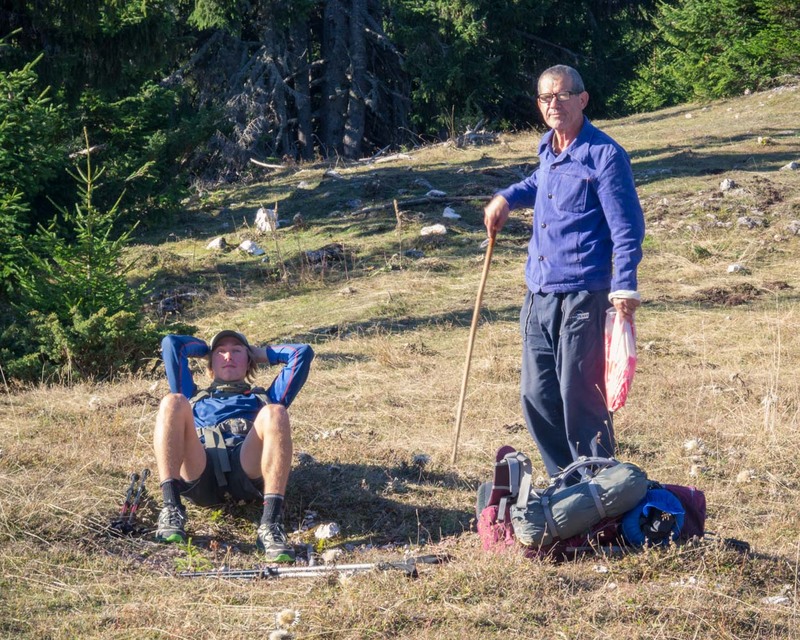 With that accomplishment fresh under my belt, developing The Katun Road thru-hike was an exciting new adventure. 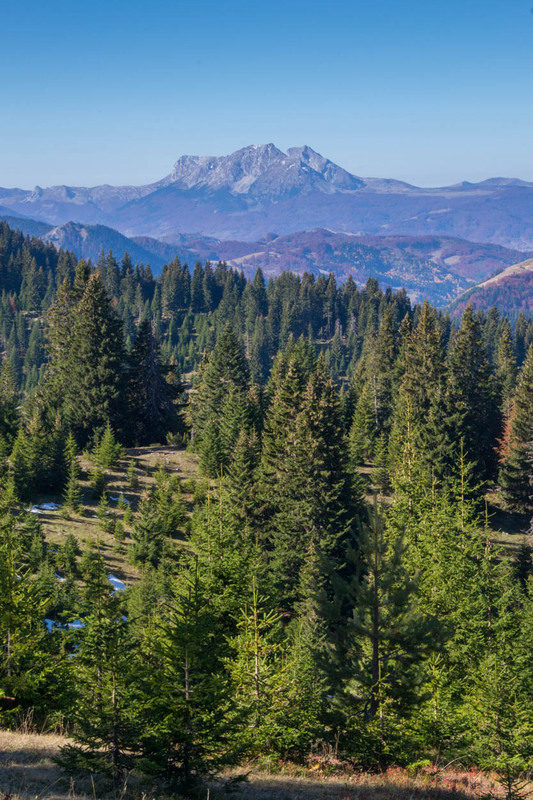 The Katun Road is a scenic, all-terrain road that winds through the northern mountains of Montenegro. 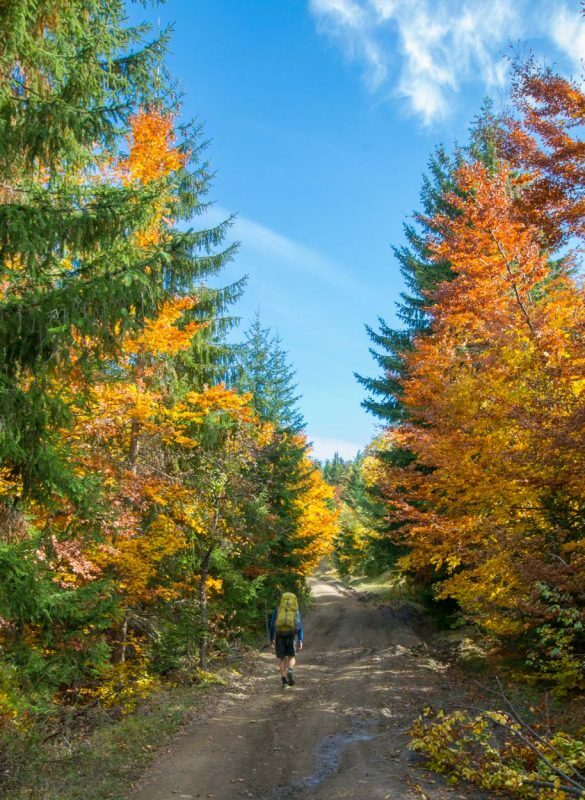 It was developed by the Regional Development Agency of Bjelasica, Komovi and Prokletije. The road offers a unique combination of history, culture and nature. 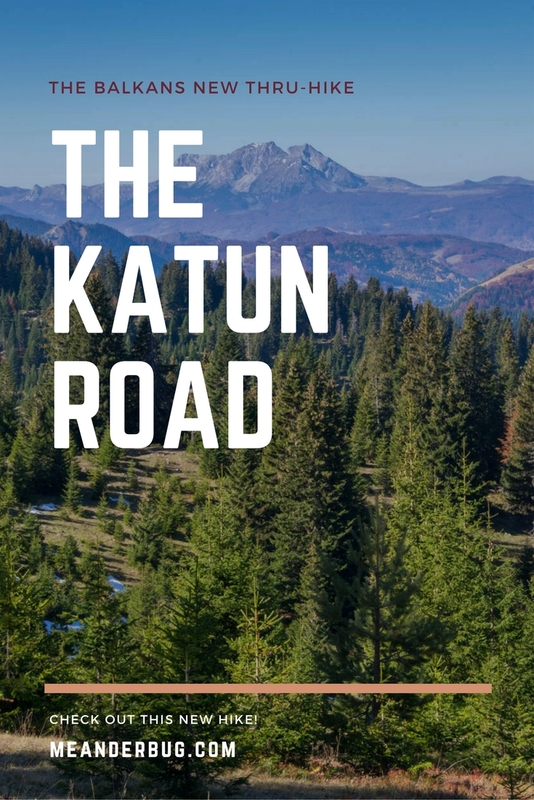 Named after small mountain villages inhabited by shepherds in the summer, The Katun Road passes through these villages. Social interactions with locals add a unique cultural aspect to the hike. 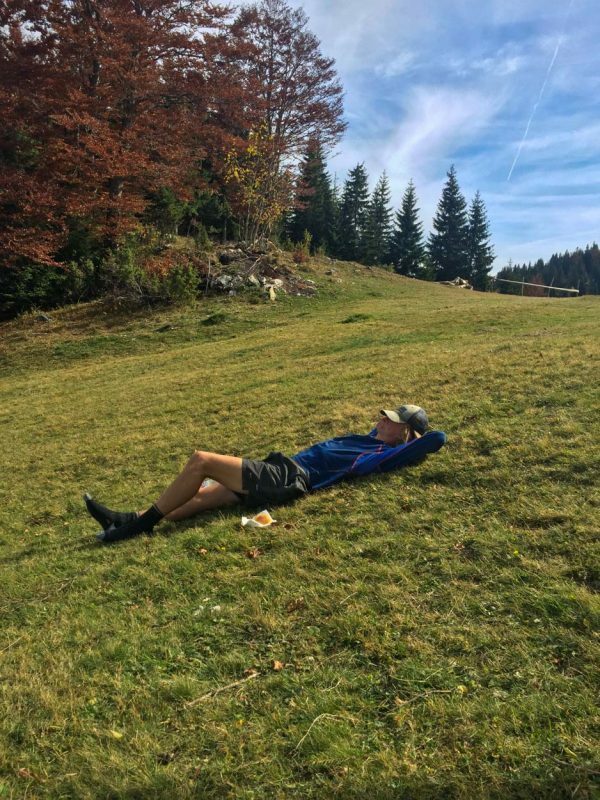 Additionally, the surrounding mountains provide a backdrop to the alpine fields creating picture-perfect scenes at every turn. When I hiked the Pacific Crest Trail, I spent every night in a tent and ate ramen noodles for almost every meal. 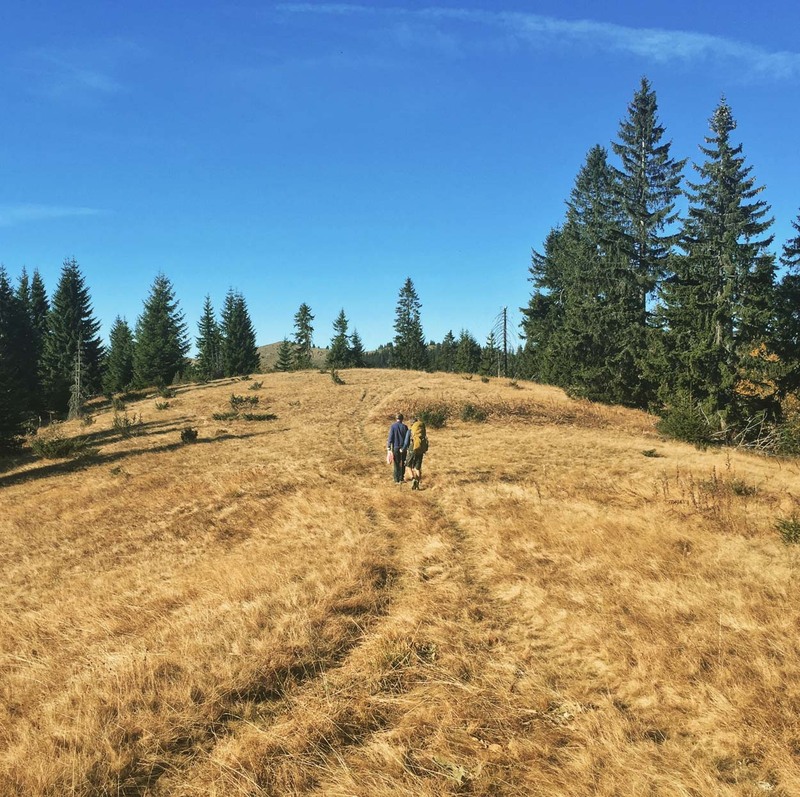 The Katun Road hike is a bit different. 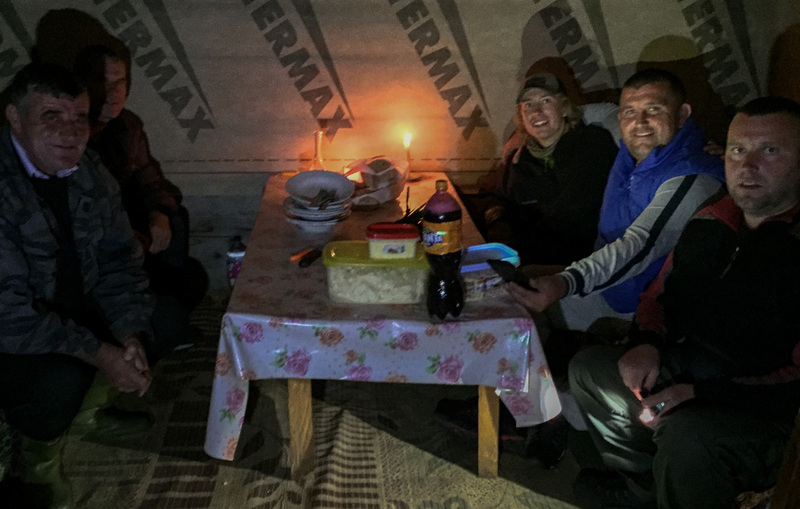 Using a hut-to-hut system provided by Meanderbug, I was able to sleep indoors in a katun every night and eat farm-to-table meals. 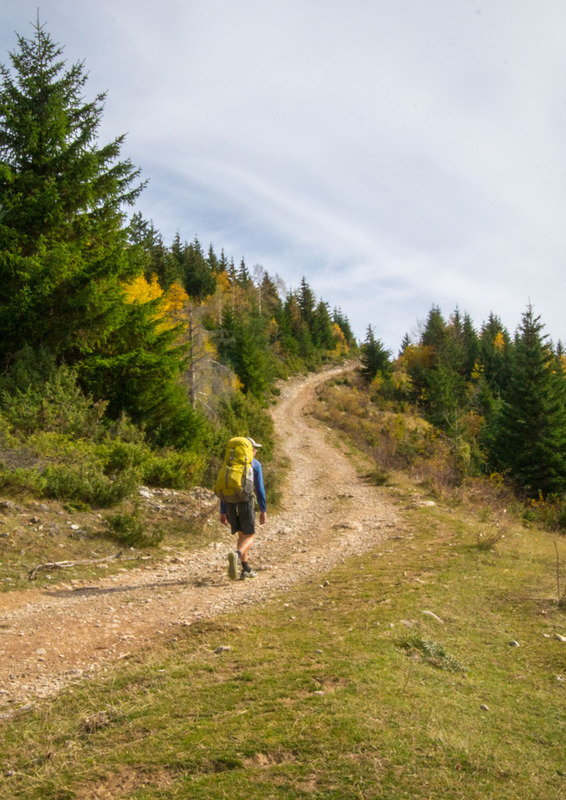 The combination of the village life and the hiking makes The Katun Road hike the best of both worlds. The first stretch of trail started in the small village of Kaludra. Being in a village we passed by numerous farms and spoke with many locals as we hiked. The unique culture of these villages was one of my favorite aspects of the trail. Many times the conversation turned into invitations for coffee. Having miles to hike we had to decline many of these offers to continue our hike. 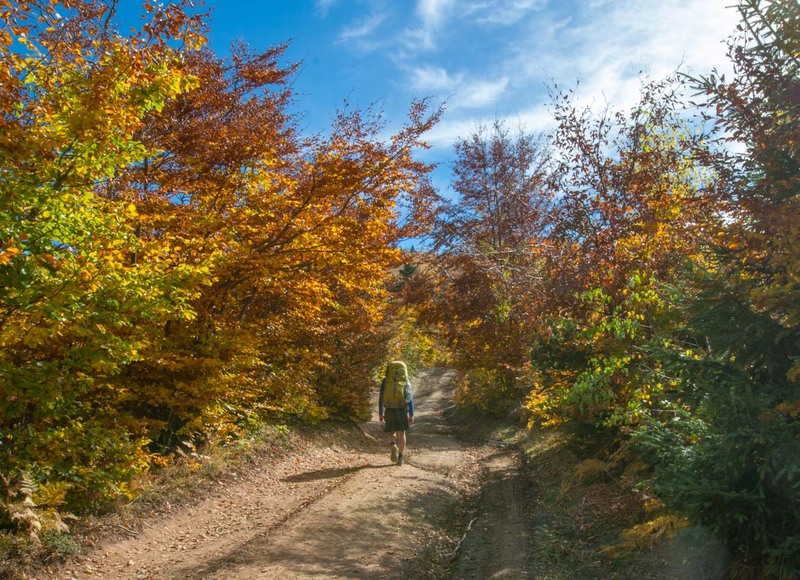 The Katun Road trail climbed steadily into the mountains and the views of the villages were slowly replaced by epic mountain vistas. Alpine fields scattered the area and were shadowed by forests rich with Fall foliage. This area of Montenegro is generally inhabited by shepherds and farmers. These grassy fields are hosts to the gardens and the sheep that keep the villages going. 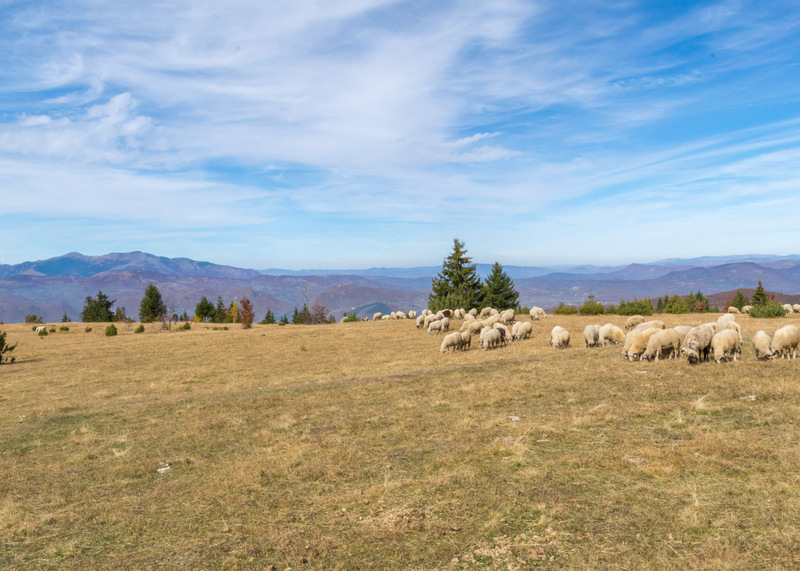 During the summer months, you will pass by countless flocks of sheep being led around by a shepherd. We continued to hike further into the mountains until the villages below faded away into the distance. 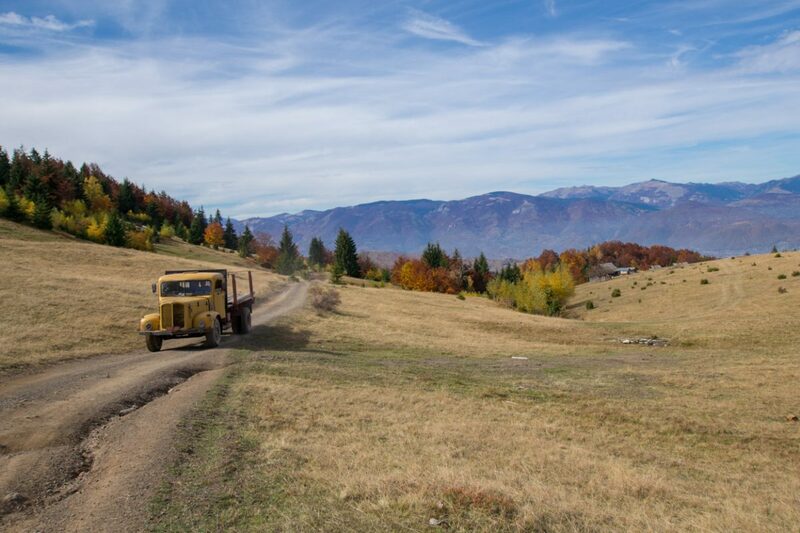 The Katun Road continued to carry us up and up into the mountains until we arrived at the first katun of our trip. The katun village of Mokri-Do is located in a grass valley high up in the mountains. 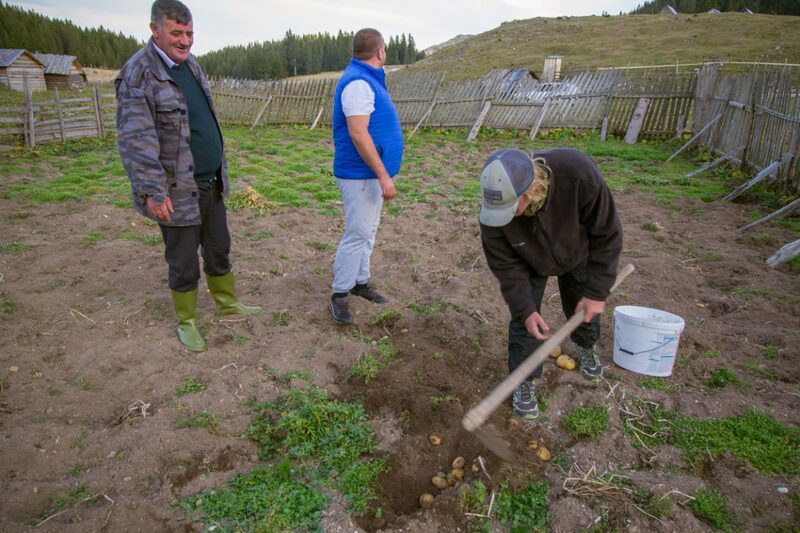 As we arrived we were greeted by our host and almost immediately led to the katun’s garden where we dug up fresh mountain potatoes. As we carried our score back to the house, a hunting rifle was brought out and a shooting tournament quickly ensued. We steadily rotated jobs between skinning potatoes and shooting at cans. By the time we finished, a mound of fresh potatoes stood ready to be cooked and a pile of cans laid with holes in them. 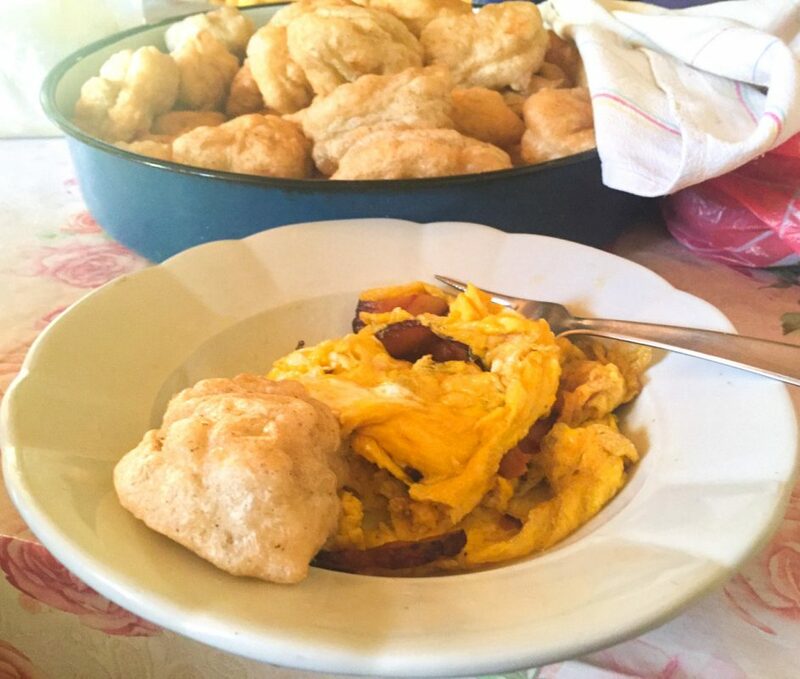 For dinner we had traditional mountain potatoes boiled and served with cheese. Additionally, there were pickled peppered and fresh baked bread. The feast lasted late into the night and we went to bed full yet excited for the next day of hiking. The second day started by us following the locals of Mokri-Do up to an alpine lake close by. 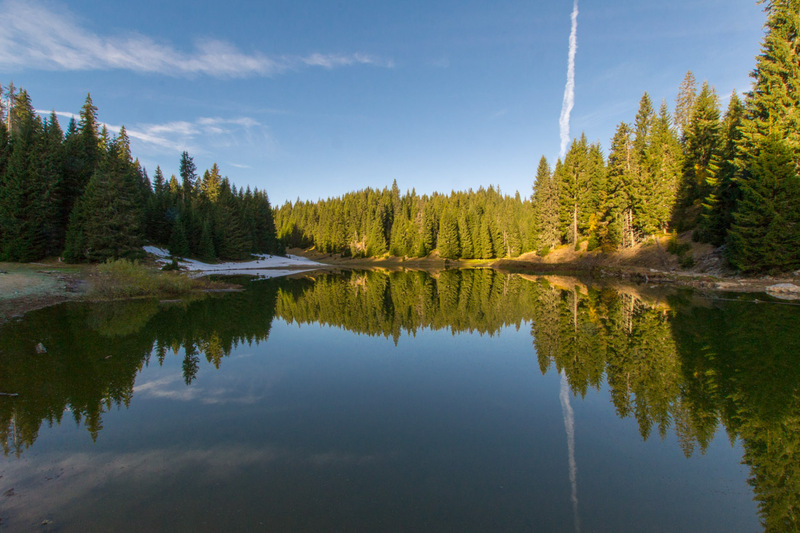 Surrounded by pine trees on all sides the still water of the lake created a perfect reflection of every tree. From the lake, we started our hike once again. 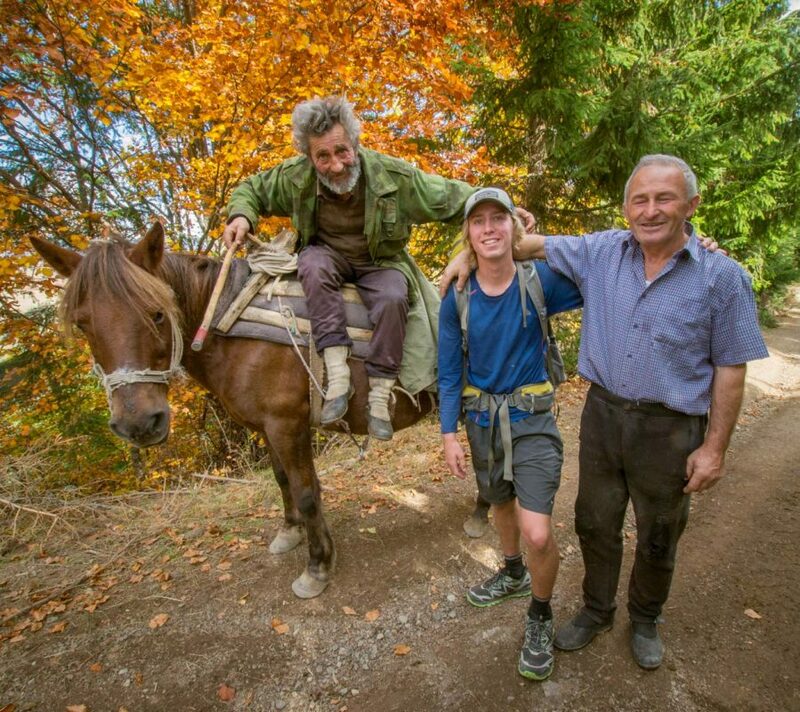 This time we were accompanied by a70-year-old mountain man from the village. Despite his age, he led the group for the majority of the day. 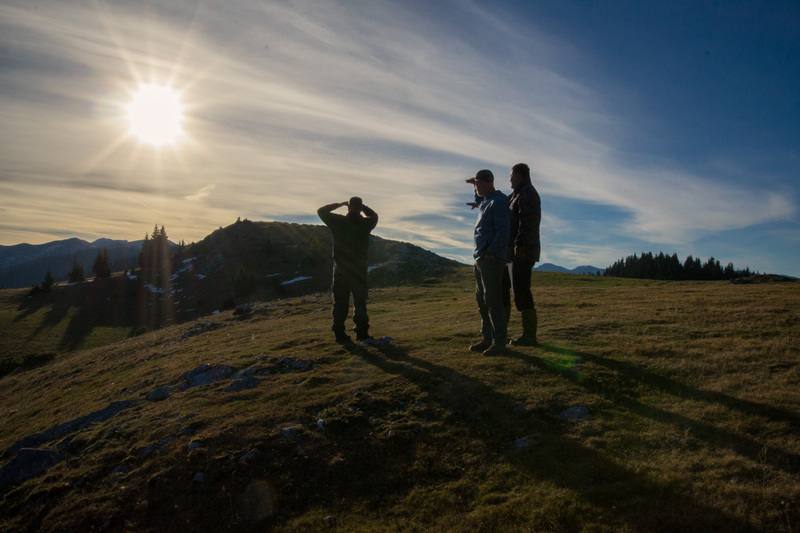 We followed him as he showed us amazing views and his favorite local spots along the katun road. Breaks were taken while he looked for mushrooms and we photographed the area. We passed by more mountain katuns and livestock. At one point we looked over a valley staring into the country of Albania. About halfway through the day the mountain man said his goodbyes and headed back to his village. 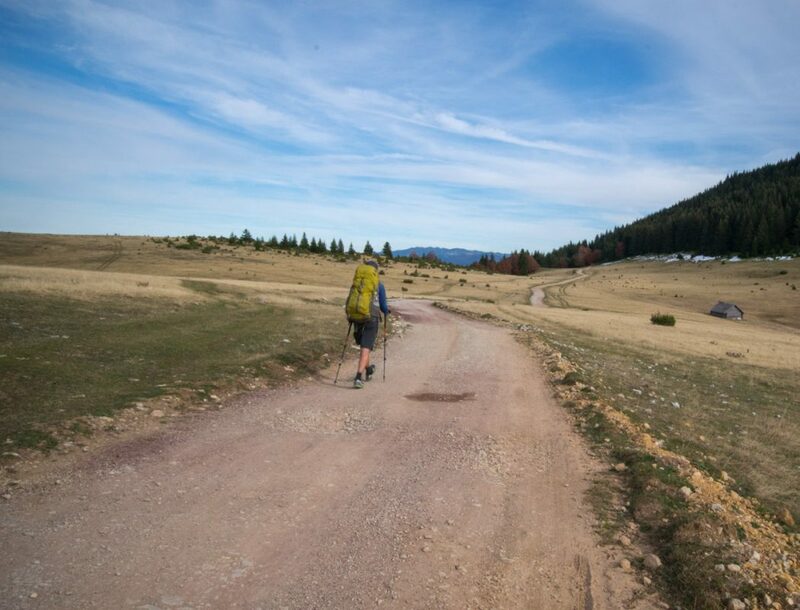 Over-confident in our navigational abilities, we ended up venturing off The Katun Road. Despite getting a little lost, we made it to our second katun slightly after dark. 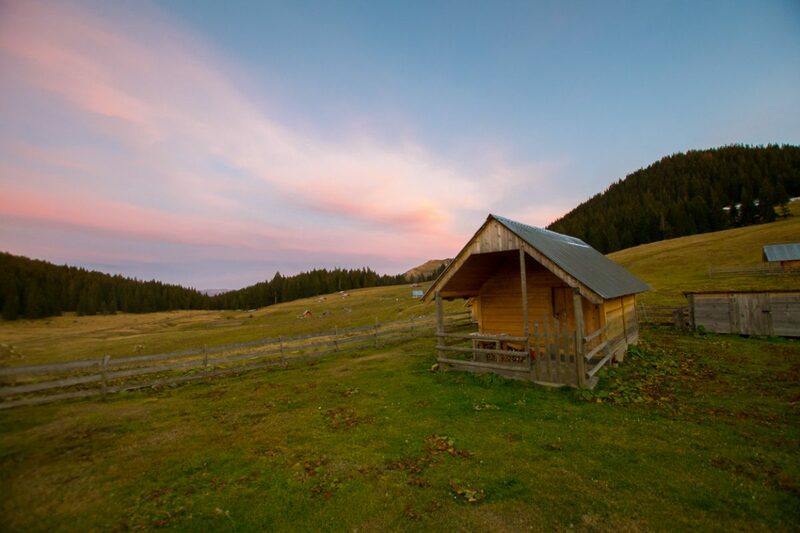 Located in Cakor, this katun had mountain views with outdoor dining right outside of the house. At this katun, the owners cooked us a whole chicken accompanied by fresh bread and home grown fruits. The small wood-burning stove heated the katun and created a nice warm contrast to the cold night. Tired from the day’s hike and battling a few injuries we decided to not hike the final day. Happy with our experience and satisfied with the past two days, we were fine cutting the hike a little short. We had more partners to meet with and mapping to do. The opportunity to help Meanderbug develop this hut-to-hut hike was great. 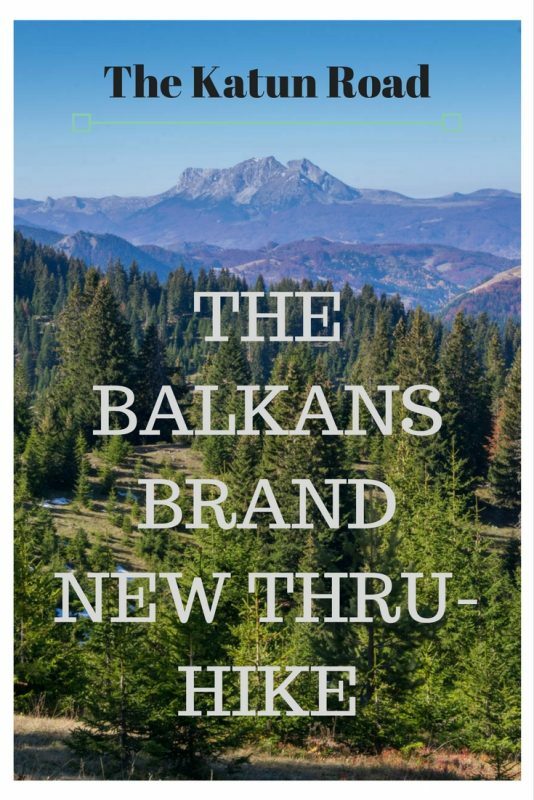 I had heard a lot about northern Montenegro before I arrived and my expectations were high. After finishing the hike I knew the Katun Road was something truly special. And the people too. The nature was so breathtaking that it made hiking difficult because of how many pictures we stopped to take. On the other hand, interacting with the locals and sharing meals with them made me feel like I was part of something bigger than just the hike. I was able to experience the culture like a local and be a part of developing something that will benefit the locals in the future. This responsible travel really makes a difference. As I continue to work with meanderbug, I am excited for the opportunity to share the hike with others. 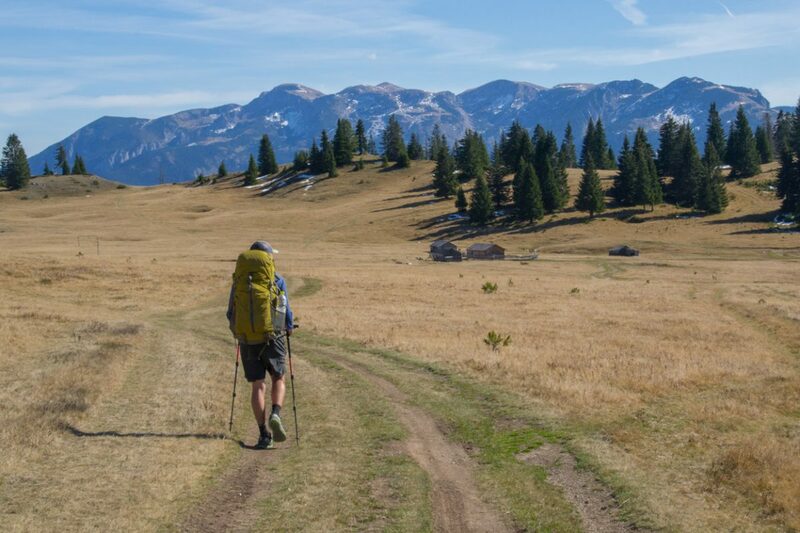 The combination of the nature and culture make this hike something any traveler or outdoors enthusiast can recognize as an adventure of a lifetime.